Captain towing in Dallas, TX provides the motoring community of Dallas with any and all types of towing and roadside assistance services. 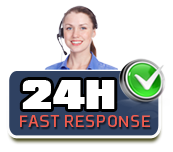 Our long distance towing services, just like all out other services, is top class. If you need a vehicle towed over a long distance, whether to or from Dallas, allowing us to handle it for you should be your first choice. We are 100% reliable, highly professional, always available and offer hard to beat rates. Being a locally based towing company we at Captain Towing Dallas are closely familiar with the needs of Dallas’s motoring community. So far as long distance towing we can provide you with just the type of service you hope to get and for the best price you can find. If you need a vehicle towed to or from Dallas just call us and get the job done right while paying a rate you will be hard pressed to find matched. While professionalism is important for all towing jobs, this is especially true with long distance towing. Since the towing company is called upon to transport your vehicle over a long distance there is naturally a lot that can go wrong on the way. This is why when you need a vehicle towed to a far off destination, whether you are relocating or for any other reason, it is crucial that you choose a highly professional towing company to do the job. At Captain Towing we employ only top of their field, extensively experienced, highly qualified, certified tow techs. It is well known throughout Dallas that our techs are among the best in the business. With long distance towing it is very important that the tow truck used is up to the job. At Captain Towing our extensive fleet of tow trucks and service vans is made up only of the finest vehicles, all of them fully equipped and perfectly maintained.